Hummingbirds are amazingly adaptive creatures. 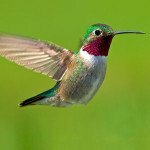 There are more than 300 known species of Hummingbird inhabiting ecological regions across South America, North America, and the Caribbean, with an ever enlarging evolutionary radiation. And, when environmental conditions change hummingbirds change with them, developing new adaptations that help them thrive regardless of what nature throws at them. Every Hummingbird species is unique, even if it has close relatives. Some, like the Mallards, are generalists that can survive on every continent except Antarctica. Other species, like the Nene are specialists that live in a more restricted range with special dietary or habitat requirements. Nene’s have very little webbing between their toes, an adaptation for walking on the jagged volcanic rock of their Hawaiian habitat. Still others, like the Ruby-throated Hummingbirds, have both specialist and generalist characteristics. All hummingbirds have a long, narrow beak and a long tongue with a hair covered tip adapted to reach and pull nectar from tubular flowers. And, with their excellent memories, they store all past feeding sources for ease of reference and future use. A hummingbird has very large eyes located on the sides of the head which provide visibility both forward and sideways simultaneously, allowing them to spot food and predator alike. Hummingbirds are not only fast, they can fly forward and backward, and can change directions quickly. With a shoulder joint that can rotate up to 180 degrees; they move with not only speed but precision. South American hummingbirds beat their wings so swiftly and articulate them so accurately that they can hang in the air in front of a flower, appearing motionless. Whether you need to create a trial to test a new process or create a new product to meet a customer requirement, Adaptive Change Manager allows you to be amazingly adaptable to changes in your processes. It helps you adapt to the new conditions in your manufacturing and industry environments, regardless of what your customers throw at you. When your processes change, ACM changes with you, and ensures the changes are consistently applied across all your locations. We know every customer and every manufacturing location can be unique. 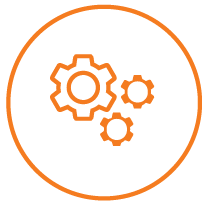 Whether you need to propagate a general process modification across all your manufacturing processes and locations, or to react to a specialized request for single customer, Adaptive Change manager helps you manage the change with speed and precision. The Adaptive Change Management (ACM) application for Manufacturing provides oversight and enforcement of change management standards over documentation, procedures, and policies associated with manufacturing processes. The ACM for Manufacturing application is used by local and global manufactures to increase quality and safety of products. Use of ACM for Manufacturing leads to lower manufacturing costs. The ACM application is configurable to your exact needs including approval and change management requirements, manufacturing/product lines, facilities, and plants. With the increased reliance on global manufacturing, ACM application is the perfect solution to maintain quality standards across all your manufacturing facilities, plants, and operational processes. Consistent Quality Standards across all products, facilities, plants, and processes. 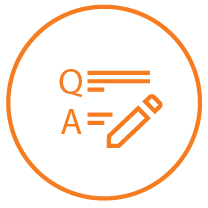 Smart Questionnaire collects all the necessary change request data quickly and easily. 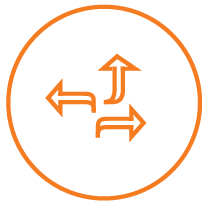 Intelligent workflows route reviews and approvals based upon data collected during Change Request submission. Trial Management allows you to manage customer trials or implement temporary change requests to see the effects of new process improvement ideas. * Browser based software allows teams across the globe to interact with the approval process. 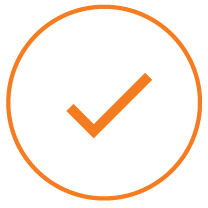 * Intelligent rules and distributions automatically notify and involve the teams affected by the Change Request. Increase the safety of your employees, facilities, and equipment by having an effective change management and quality process that keeps people knowledgeable of the correct procedures and processes. Apply Change Management and Knowledge Management on every process or procedure that is important to you including equipment handling, maintenance, product manufacturing procedures, chemical handling, situational procedures, safety procedures, or any other documented process or procedure. * Automate Change Request submissions using intelligent forms that ask the relevant questions to gather needed information. * Streamline Review and Approval processes using intelligent workflows that route based upon data collected during Change Request submission. * ACM provides automatic distribution of approvals and updating of documents so that relevant people know about the approved changes to documentation and procedures. * Eliminate paper associated with change management. * Quickly find relevant information with only the latest and correct information being made available. * Utilize Temporary Change Requests to see the effects of new ideas or trials. * Temporary Changes can be set to expire so that normal procedures can take effect.